Used to be the only place you would hear about depression is if you were taking a degree in psychology. But now there are songs, games, and movies about depression. Society has opened up about depression and the world is a better place because of it. Because let’s face it, the more honest we are about problems like depression, the more likely we are to work together to make those problems stop. With that in mind I’d like to share with you some of my favorite movies about depression. Oh, and just for fun I’ve decided to do this list chronologically and to look at all different forms of depression. 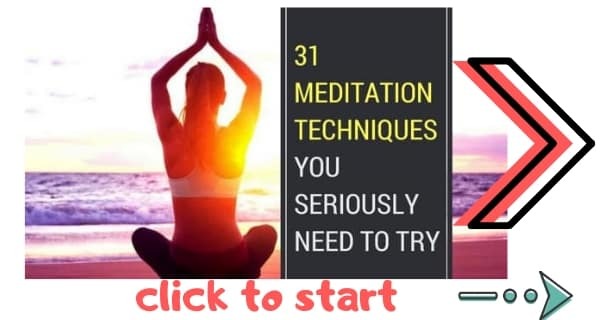 So literally everything from antisocial personality disorder to schizophrenia to bipolar disorder (manic depressive) will be covered in this list. Hands up who remembers the scene when the Chief escapes at the end? What a brilliant movie moment. One Flew Over The Cuckoo’s Nest is, of course, a classic Jack Nicholson movie. In it he plays a guy who is taken to a mental home because he has depression. 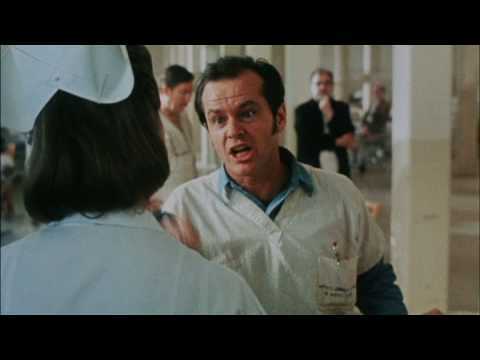 Nicholson refuses to live by the orders of the awful Nurse Ratched. He tried to change the rules of the mental home. And he tries to escape. Ooooh, right, forgot, can’t give spoilers online even when a movie has been out for 43 years. Ha ha. Okay then, so let me just say that One Flew Over The Cuckoo’s Nest is a truly stunning movie that will make you feel all warm in the heart. Jack Nicholson’s refusal to give in is truly inspiring. And the end moment is just…. beautiful. 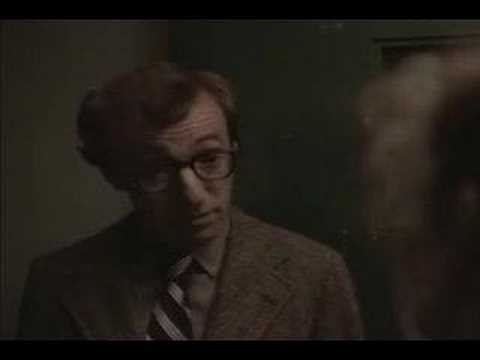 Woody Allen’s Annie Hall is one of the best romantic comedies of all time, and one of the only movies about depression in that genre. It’s all about director Max who is depressed after he goes through a breakup. He finds and enters a relationship with Annie Hall. And through that relationship he tries to find the purpose of love. Annie Hall is often listed as one of the best comedy movies of all time. And as one of the only comedy movies to cover the subject of depression, I figure it deserves a spot in this list too, don’t you think? Amadeus is one of the most original Hollywood movies ever made. And for any fan of classical music it is an absolute must watch. 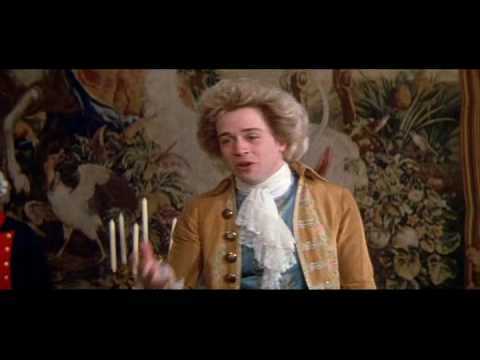 Amadeus is a movie about Mozart as he tries to make the most of his life as a composer. Mozart’s problem is that he really does not fit in. He’s a bit of a clown stuck hanging around with royalty and the upper class. His buffoonery just doesn’t suit. And because of that he is abused by the people around him. Mozart fights with depression from his bad relationship with his father, and even thought he’s one of the most successful musicians of all time he struggles to survive his every day life. Ah. Rain Man. One of the best performances from one of the best actors of all time. And of course, I am talking about Dustin Hoffman. In Rain Man, Dustin Hoffman plays titular “Rain Man”, a guy with autism and Savant Syndrome. 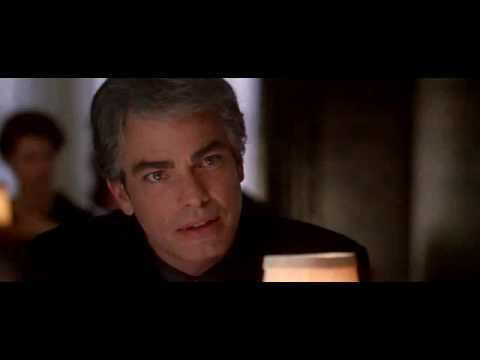 Car dealer Charlie Babbitt (Tom Cruise) hears that his father has died. And the millions that his father had is being left to the mental institution where Rain Man (Raymond) lives. Charlie checks Raymond out of the mental home and together they go on a journey that will change both other their lives forever. Silence of the Lamb probably isn’t the first movie you think about when you think of depression. But it is nevertheless one of the best depression movies of all time. Obviously you know about Silence of the Lambs. So the idea of me giving you a synopsis for it is just silly. But what the heck does Silence of the Lambs have to do with depression? Well, Hannibal Lecter is suffering from depression. Specifically, he’s suffering from personality disorder. Personality disorder is a condition that makes people act in bizarre ways. In Hannibal Lecter it’s his propensity to psychoanalyse people… oh yeah, and the eating people thing aint exactly a-okay either. 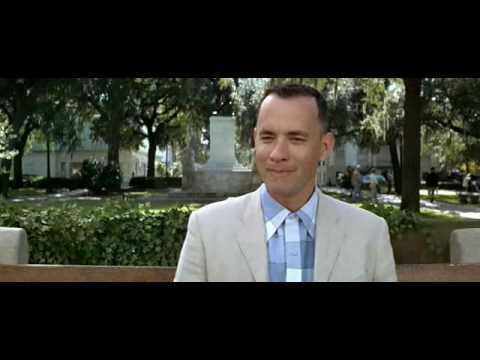 Momma always said life is like a box of chocolates. You never know what you’re going to get. Forest Gump is one of Tom Hanks’ best movies (though obviously there is a lot of competition). In it he plays Forest Gump, whom of course you are already familiar with. And we see Forest Gump struggle to understand people and live out his lonely life in which he does amazing things but constantly seems like his away with it. And slowly we learn that Forest Gump has Aspergers Syndrome. Forrest Gump is one of the most beautifully told movies about depression. And I imagine we have all seen it. But if you somehow have never watched this stunning and touching flick, then you really need to watch it right now. The English patient came out in 1996 and is a romantic drama by Anthony Minghella that is based on a book by Michael Ondaatje. Now I am going to openly admit that the first time I watched The English Patient I feel asleep. That’s because I was about 13 and this is no movie for kids. It is slow and very deep. But if you love a great drama then you absolutely must watch this. Heck, there’s a reason it got 12 Oscar nods. A French Canadian nurse looks after a critically burned man who cannot remember his name. 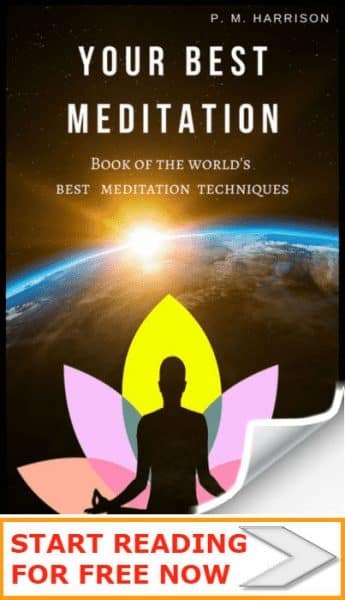 As we begin to learn the history of the man we learn that he is suffering from Post Traumatic Stress Disorder (PTSD). The movie gives an accurate and very in-depth look at PTSD and at the struggle of trying to live with the condition. All in all this is one of the most gripping romantic drama of all time, and one of the best movies about depression. All right listen. You asked me what the best movies about depression are. So clearly you knew that you were in for a couple of movies that were disturbing, right? And I don’t mean disturbing in the lame way that The Human Centipede and other such trash is disturbing. No, I mean really deeply disturbing. Requiem For A Dream is one of the most psychologically disturbing movies ever. While it might not be full of blood and gore, and it’s not gratuitously violent, it is a scary look at how depression and drugs can affect a person. Even my extreme crush on Jennifer Connelly doesn’t help me get through Requiem For A Dream. It’s still disturbing. But it is definitely one of the best movies about depression ever. American Beauty. What a scintillatingly beautiful movie, no? It’s all about Lester Burnham, who is played by Kevin Spacey. Lester Burnham is going through a mid-life crisis. He falls in love with one his daughter’s best friends and starts to question his life. This leads to the breakdown of his marriage as his wife struggles to deal with Lester’s new attitude. Lester Burnham is not the only character in the movie suffering from depression. In fact, pretty much every single character in American Beauty has some sort of depression. And all the characters are played wonderfully, meaning that you get an accurate look at a lot of characters with different mental conditions. American Beauty is without doubt one of the best drama movies of all time. And the combination of wonderful acting, a stunning script, and gorgeous cinematography make this an absolute masterpiece. The Virgin Suicides is a 1999 American drama written, directed by Sofia Coppola, and produced by her father Francis Ford Coppola, It stars James Woods, Kathleen Turner, Kirsten Dunst, Josh Hartnett, and A. J. Cook. It’s about the Libsons, a healthy successful family in Michigan. The two parents have successful careers, and the five daughters are all attractive. It seems like your perfect family. But we all know that a family that seems too perfect probably is too perfect. And that’s how it turns out. One of the daughters commits suicide and the family spirals out of control. This is a wonderful look at how fragile a family dynamic can be. 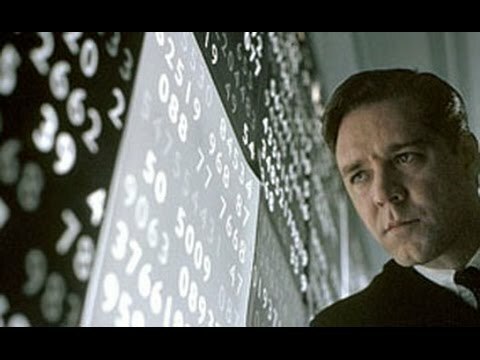 The film based on the life of Josh Nash, a Nobel Laureate in Economics. It begins with Nash as a graduate student at Princeton University. He begins develop schizophrenia and suffers from delusions while he watches his wife and friends struggle to cope with his condition. This is one of the most popular dramas of all time and grossed over $313 million worldwide. It won Best Picture, Best Director, Best Adapted Screenplay and Best Supporting Actress. And with very good reason.